I popped in to visit the WHYRED showroom on Friday and when my friend Sofia came to greet me at the door, the first thing I clocked were her feet. Everything about her shoes were right. 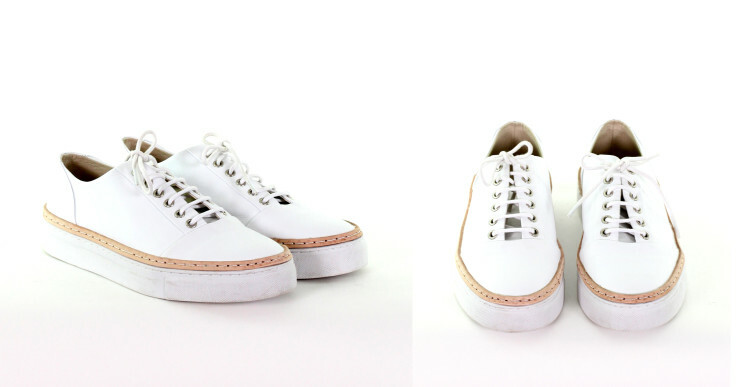 A combination of my favourite leather brogue with this season’s sneaker shape, elevated on a barely there flatform, and in a spring relevant white – oh and let’s not forget the subtle tan leather trim to finish! 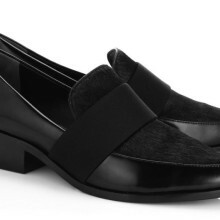 Ah, these shoes are pure perfection, and what’s more they’ve just arrived online and in store – hooray! The WHYRED Breeton shoe costs €220 and is available for purchase here.